Jim Scherrer, The Founder of Puerto Vallarta Real Estate Buyers Agents (PVREBA) has owned property in and around Puerto Vallarta for more than 35 years. He has written approximately 80 articles about Puerto Vallarta and was for many years a contributing author to Banderas News, The PV Mirror, The Vallarta Tribune, The Vallarta Lifestyles Magazine and approximately 2,000 international websites. According to Google Analytics data, his articles have been read by millions of people in more than 140 different countries. 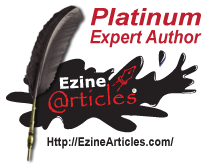 He has been awarded the highest publishing honors such as the “The Platinum Expert Author” award by Ezine Articles. Our PVREBA agents are full-time residents. We have an excellent knowledge of the area. Our desire is to share our knowledge and expertise with others who are considering various retirement destinations so that they too, may appreciate the opportunities that lie south of the border. We aim to dispel any and all misconceptions about living in Mexico and to update you about the many changes that have occurred and continue to occur in and around Vallarta. We are proud to introduce Vallarta to visitors and enjoy showing the houses and condos that meet their needs and budgets. In the event that they find their dream retirement residence, we act as their agent by assisting them throughout the buying process. Even though all communications are 100% in English, we have bilingual legal representation since all contracts and legal documents are 100% in Spanish. Acting exclusively as a buyer´s agent, PVREBA has no listings and nothing to sell. There is absolutely no charge to the buyer, in that any payments to PVREBA are only from the property listing agents. Our ultimate objective is to share our Paradise with fellow North Americans.